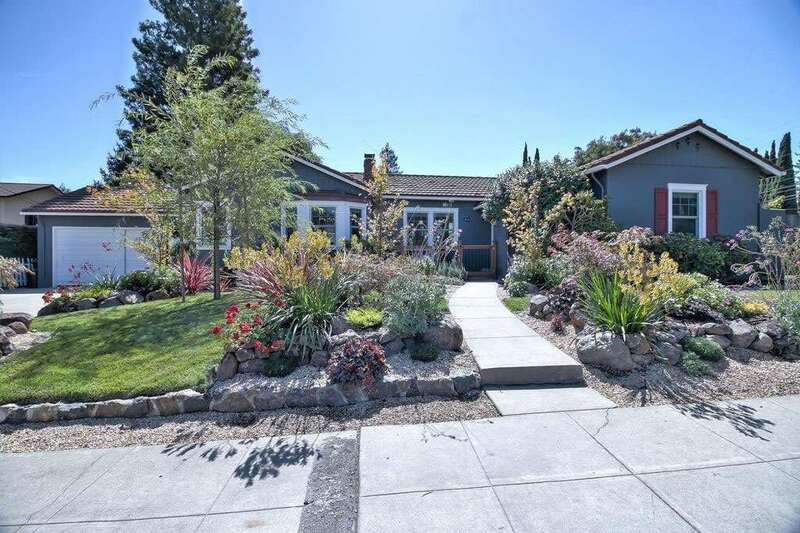 This classic and stylish home is located one block from Stafford Park in the desirable Mount Carmel neighborhood of Redwood City, situated on a large 7,500 square-foot corner lot dotted with mature roses and fruit trees. Many of the original details from the 1940s remain, including the coffered ceilings, arched doorways, random plank hardwood, wood-cased windows, and the Wedgewood stove! An oversized 2-car garage and screened-in back porch make this home appealing to many. The Mount Carmel neighborhood is desired for its charming character homes, tree-line streets, and its walking proximity to countless neighborhood amenities. From summer concerts at Stafford Park, events at Courthouse Square, Yoga at Peacebank, the baby bullet CalTrain to AT&T Park, to the many restaurants in the newly revitalized downtown, everything is in walking distance! This home is a short drive to the Silicon Valley. This generous sized lot is centrally located between 280 and 101. 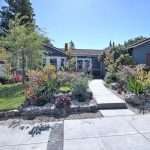 Enjoy the short distance to Redwood City concerts in the park from this wonderful home in the desirable Mount Carmel area.